As I reached for the book off the top of my shelf, I felt some resistance. I hate to admit it, but I didn’t love Love Medicine. I read it three times and admire so many things about it, but I didn’t really enjoy reading it. However, halfway through The Round House, I am enjoying it. Mom … the milk was sour. She lowered her arm and sat up. She had never let the milk go sour in the refrigerator before. She had grown up without refrigeration and was proud of how clean she kept her treasured icebox. She took the freshness of its contents seriously. She’d bought Tupperware even, at a party. The milk was sour? Yes, I said. It was. We have to go to the grocery! Her serene reserve was gone–a nervous horror welled across her face. The bruises had come out and her eyes were darkly rimmed like a raccoon’s. A sick green pulsed around her temples. Her jaw was indigo. Her eyebrows had always been so expressive of irony and love, but now were held tight by anguish. Two vertical lines, black as if drawn by a marker, creased her forehead. Her fingers plucked at the quilt’s edge. Sour! They have milk now at Whitey’s gas station. I can bike down there, Mom. They do? She looked at me as though I’d saved her, like a hero. With all that we did, we were trying to coax the soul back into her. But I could feel it tug away from us like a kite on a string. I was afraid that string would break and she’d careen off, vanish into the dark. My father could out-weather anybody. 5-And as I mentioned, it won the 2012 National Book Award for Fiction. It’s always a pleasure to find a good, thick book to read in winter. And your timing is perfect. A cold front blew in last night, and frost covered the horse pastures this morning. Thanks, C.
I agree with Darrelyn about settling in with a great big book when the weather turns cold. We got the same cold front up in Arkansas, and I wished I had something other than the Kindle to lay on my lap. Thank you for pointing out some of the finer points of this book, all of which I consider elements that make a book worth my time. I’ve stayed away from Erdrich because of past disappointments, but I might give this one a try. Beautiful language is always appreciated. Wonderful excerpts! I want this book for Christmas. Last week I was drooling over it in our local bookstore. I’m actually a big fan of Erdrich’s earlier books like Love Medicine and Tracks, but found some of her more recent books too dark and depressing. She’s had a difficult life (her ex-husband committed suicide). This one looks fabulous even if the subject of abuse is disturbing. Have you read the Blue Jay’s Dance her memoir of writing and parenting? It’s fabulous. I LOVE The Round House. I could not get through Love Medicine. And though it’s great, I am about to quit her The Plague of Doves. But something about The Round House is perfect. Probably a lot of things: first-person point of view really works; the teenage narrator’s point of view that’s deepened by the fact that he’s actually “writing” or telling the story in middle age; the whodunit and why aspect. It’s become one of my all-time favorite novels. 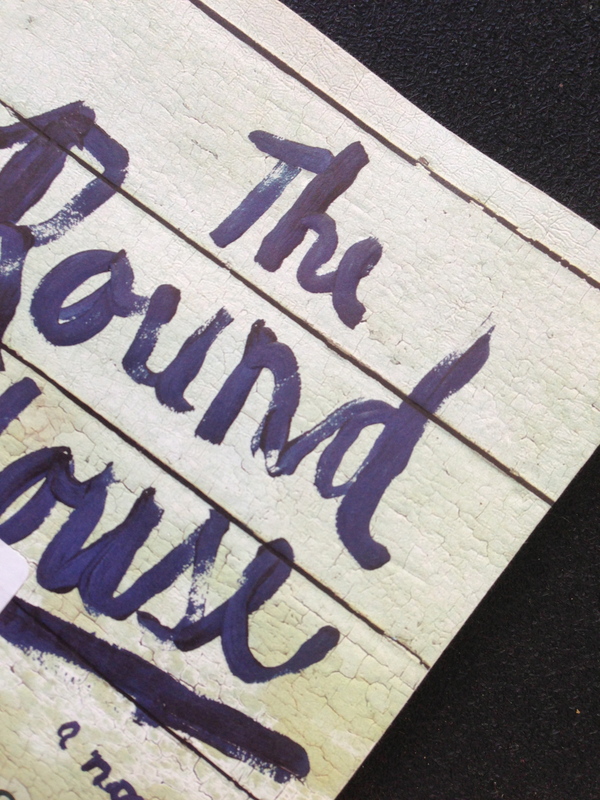 Darrelyn, I finished The Round House and loved it. Yes, Cyd, I agree too about a big, thick book in winter. Thanksgiving in particular seems to call one. Sarah, I haven’t read The Blue Jay’s Dance–will take a look at it. Richard, so glad to hear you agree and that you also had trouble with Love Medicine. Nice to know I’m not the only one.